Displaying the beauty of the woodgrain after which it is named, the range of Golden Oak Vented Soffit sold by PVC Cladding is the perfect choice to complete an elegant roofline appearance when partnered with our Golden Oak PVC Fascia boards. The attractive and warm golden oak colour and sturdy, durable design comes with a 10 year performance and discolouration guarantee. 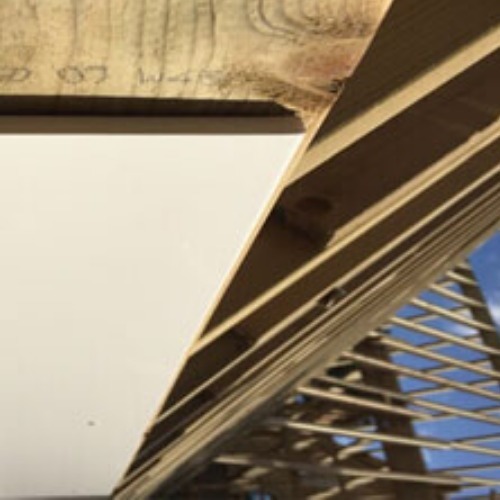 The soffit is designed to bridge the gap between the wall and the rear facing side of the fascia board, while the vents create air flow to prevent the build up of condensation and damp. 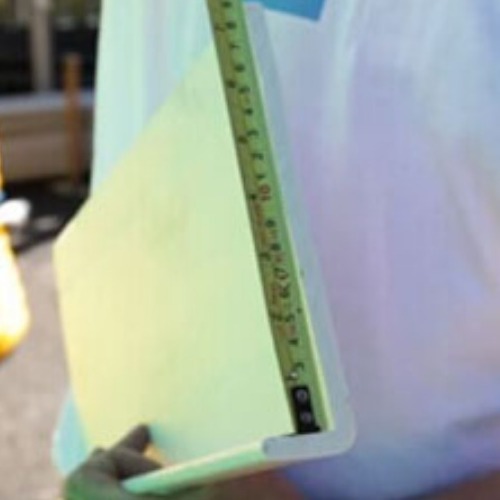 Vented soffits are a popular way of complying with building regulations for ventilating the roof space of new buildings when constructing a roof that has a 30°pitch and over. The slots in the board allow free airflow whilst being small enough to prevent bees and wasps from entering the roofspace.